Due to a hike up Mt. Sherman, I arrived at the annual Fort Collins Old Town Car Show after the majority of vehicles had already rumbled off Mountain Avenue and headed back to their garages. But there were a few examples of American Muscle remaining, by which I mean the cars, not the magazine or Colorado athletes. 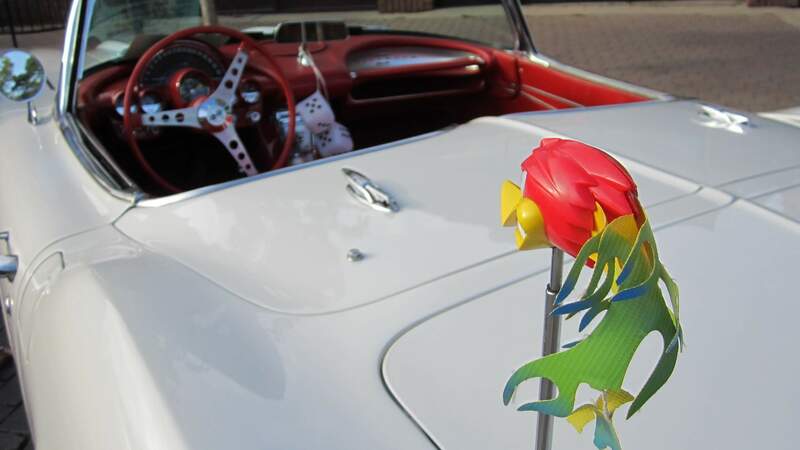 In particular, the classic sports and pony cars of General Motors caught my eye. Can you guess their nameplates? Probably, considering there were really only three before the 1980s. 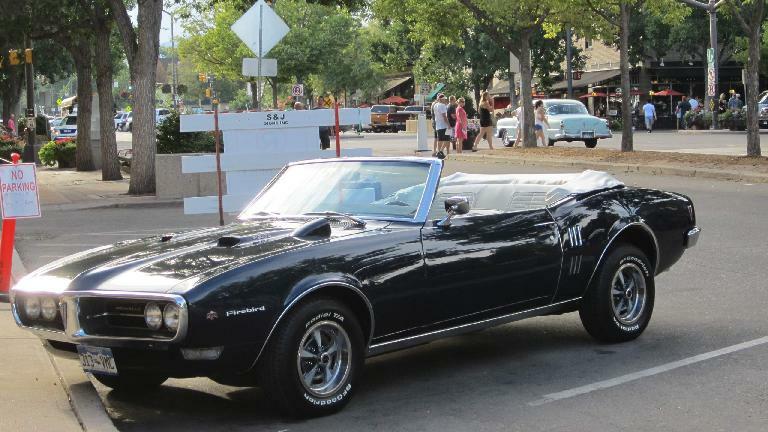 If you guessed Corvette, Camaro and Firebird, I’d give you all possible points even though the ‘bird I saw was actually a special version, that being a Formula 350. 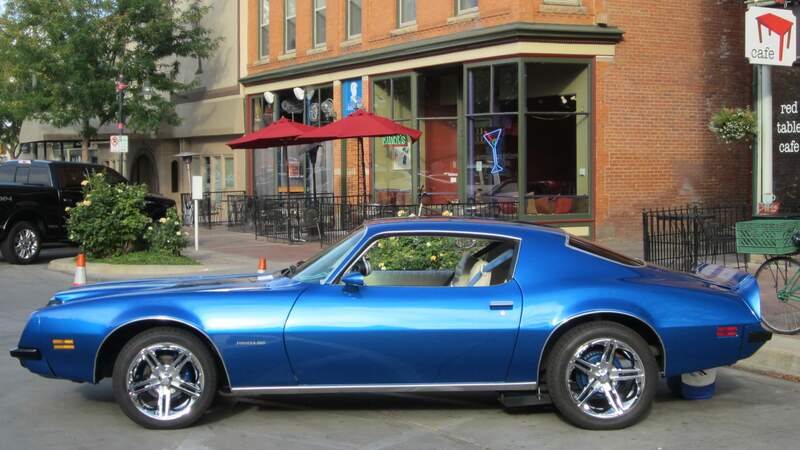 Generally, I consider the pony cars of the 1970s to be the least attractive of any generation of the Camaro/Firebird siblings, but the example shown above really tugged at my heart. Perhaps it was the impeccable deep blue paint or the stance; I’m not exactly sure. In any case, I could see how this was easily one of the three most beautiful cars coming from a domestic auto manufacturer in the Malaise Era. 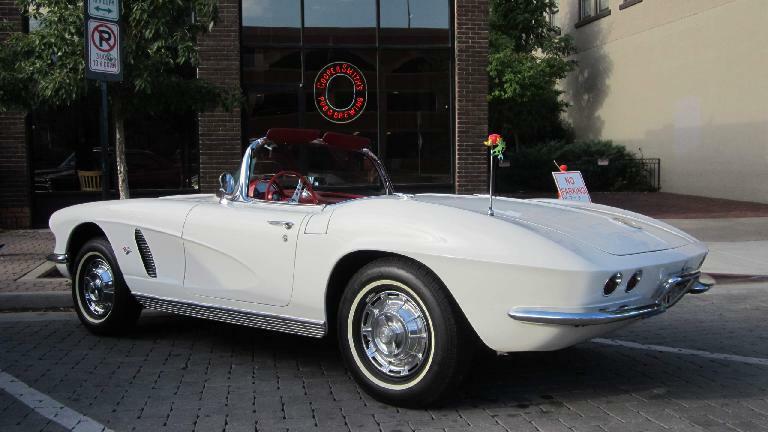 There was also a beautiful first-generation Corvette on hand—the same one, I believe, I saw in the 2010 Old Town Car Show—and a first-generation ragtop Firebird that looked good as well. These were the three cars I admired the most in this year’s show, but before you think I have gone bonkers for classic Detroit iron, let me say that a red Triumph TR2 from the 1950s that was leaving show also really caught my attention. Vintage British sports cars still stir my soul, apparently.